Combining the creative talents of Brilliant White Design and the technical expertise of cp:fusion. 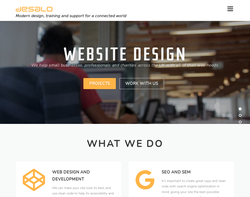 We provide clients with high quality, uniquely designed fully functional websites and multimedia projects. We also provide a wide range of complementary services which help clients build consistency throughout their brand. 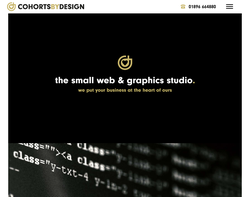 Web design, web makeovers, software & internet training, website hosting, domain name registration, website management and content management systems. 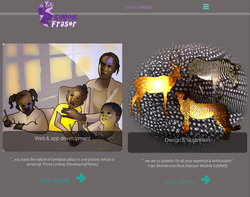 Web site design, search engine marketing, and graphic design. 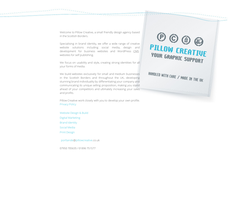 Pillow Creative design company for small business web, print, graphic, new media & web design. Galashiels, The Scottish Borders. Web Design Scotland based in the Scottish Borders. 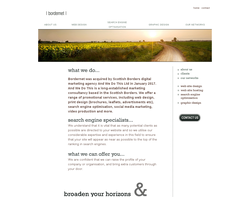 We provide Website Design, Ecommerce Development and SEO in the Scottish Borders, Scotland, UK.